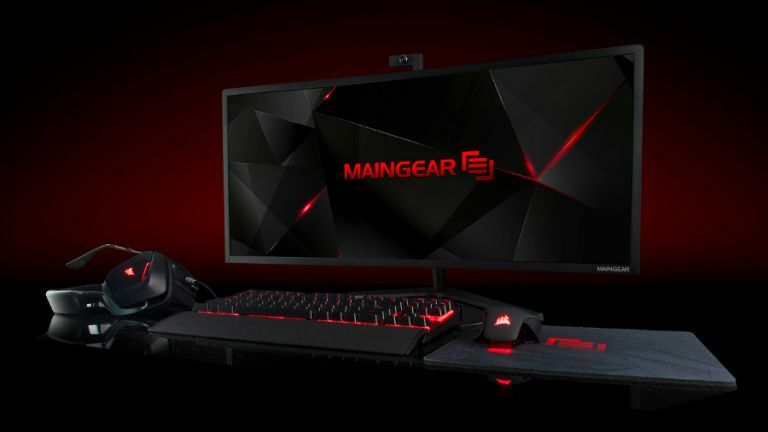 If you're looking to add a bit of va-va-voom (as the French say) into your gaming life, US hardware company Maingear's latest all-in-one PC might be for you. Unveiled at CES 2016, the Apha 34 features a 34-inch curved monitor toting a 3,440 x 1,440 “cinematic” 21:9 pixel-resolution. Interestingly, Maingear offers to give each order a custom paint job using the same type of paint used by Porsche and BMW. Applied in-house, it's apparently carried out by people who used to paint super cars and hot rods. Premium? Premi-YUM, more like. What sets the Alpha 34 further from the pack is its focus on gaming. It can be configured with an Nvidia GeForce GTX Titan X or AMD's Radeon R9 Nano. Both are designed for gaming at 4K resolution - so either is capable of running the latest titles at the display's (slightly less taxing) native resolution with the details cranked up. In terms of processor options, the Alpha 34 is available with Intel's Core i3, i5 or i7 CPU. The chipmaker's Xeon E5 v3, which flaunts 18 cores, can be loaded as an alternative option. Obviously you'll need to be loaded yourself to get one, as the Alpha 34 starts at a cool $1,999 - roughly £1,361. Expect the price to hike as you bump up the spec, and you can opt for the machine to be sent along with various peripherals including Maingear's keyboards, mice and headsets too.